This is your chance to learn the best number trick in the world. 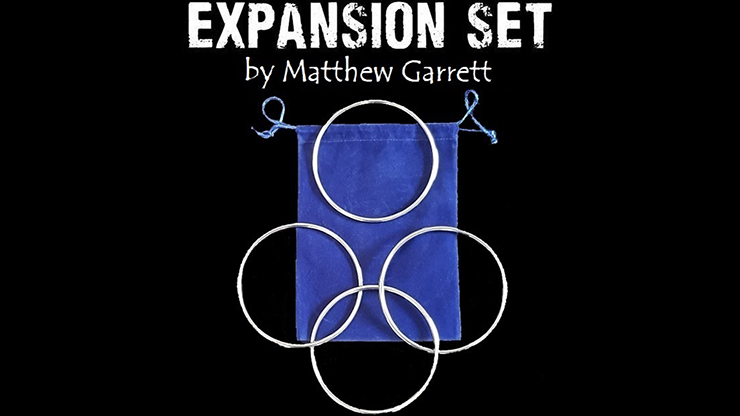 https://t.co/WqGWq..
Today, when you order "Expansion Set (Gimmick and Online Instructions) by Matthew Garrett", you'll instantly be emailed a Penguin Magic gift certificate. You can spend it on anything you like at Penguin, just like cash. Just complete your order as normal, and within seconds you'll get an email with your gift certificate. FREE SHIPPING TO USA. No minimum to get free shipping on this item. Add more mystery to your Linking Ring routine! You receive 4 rings of the highest quality - 3 joined rings and 1 single solid ring. Presented in a velvet bag, with online video instructions by none other than Matthew Garrett. If you perform the close-up rings, then this set is for you. These rings are of the highest quality. They are smooth, professionally plated and the welds unnoticeable. All rings measure 4.5" outside diameter. The weight and size are perfect for close-up workers. Many classic close-up routines use more than just 4 rings. With this expansion set, you can perform them too. 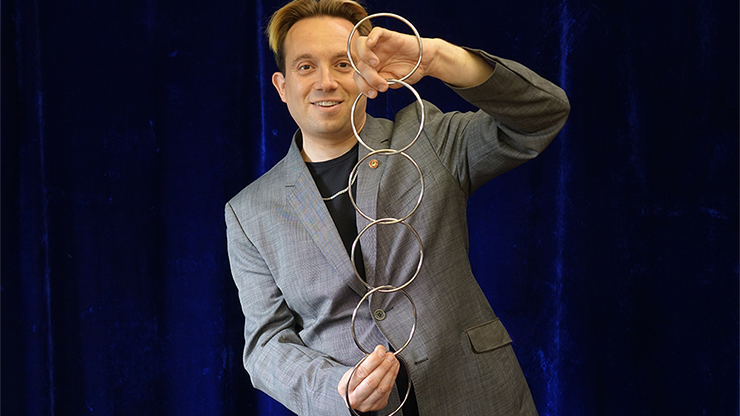 Matthew teaches a direct, visual 6 ring routine, where you link a full chain of 6 rings. Please Note: This set is not a trick on its own. These silver rings accompany The Linking Rings Close Up and The Ninja Rings and match both in terms of size and color. 3. AOK by Lewis Le ..
5. Fill in the Blan..
13. Level One by Chr..
15. Isabella 3.0 by ..